Schweitzer Linen wants to help you put a new twist on Valentine’s Day dinner plans. And these plans won’t require reservations, waiting for a table, finding a parking spot or being surrounded by strangers on your special day. Plus, when dinner is over, you’ll be able to enjoy the ambiance for days, weeks or as long as you see fit. We’re talking about dinner in with serious style. 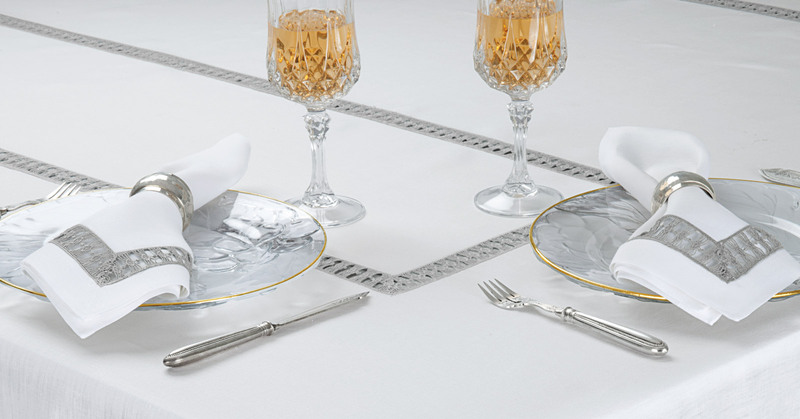 With one of their many fine table linens and accents, you can transform your kitchen or dining room table into the hottest, most exclusive place in town. Where the best seats in the house also have the best view…of each other. Schweitzer table settings and table cloths are not just gorgeous to look at, the impeccably crafted linens and hand-embroidered designs will make them feel like royalty, as soon as they sit down. 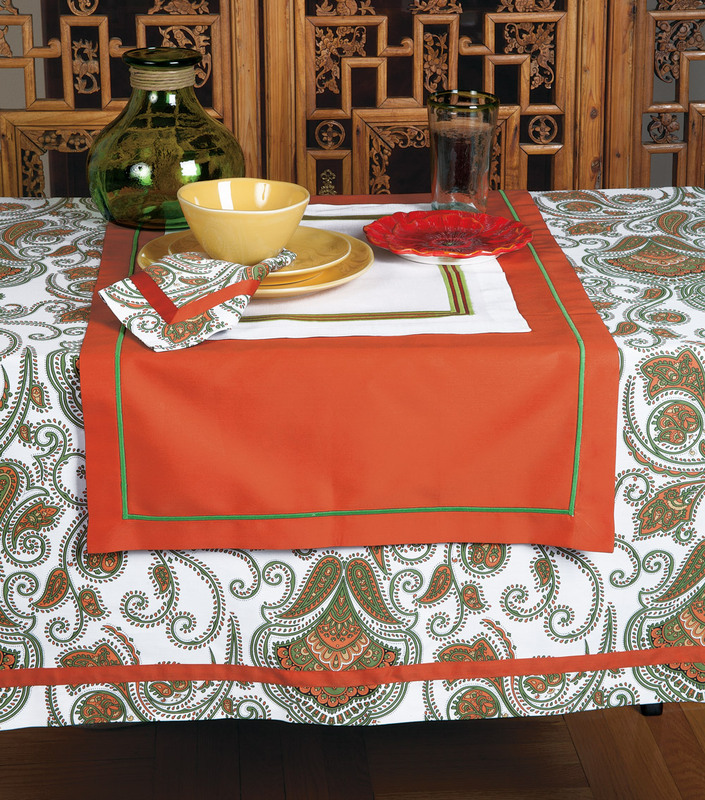 Collections like their Marblehead and Paisley Park designs will make your meal a moment they will never forget. Refined styles like their Essex and Tuscany collections create an ambiance of grace and elegance to highlight the evening with the sparkle of romantic magic. If showing them how much you love them is not always easy, nothing proves it more than a homemade meal with flickering candles casting a soft glow on table linens like Panache and Sinatra, designed to make people feel honored and loved. It’s a great opportunity to show off your culinary genius (and thoughtfulness) or you can bring food in from their favorite place. 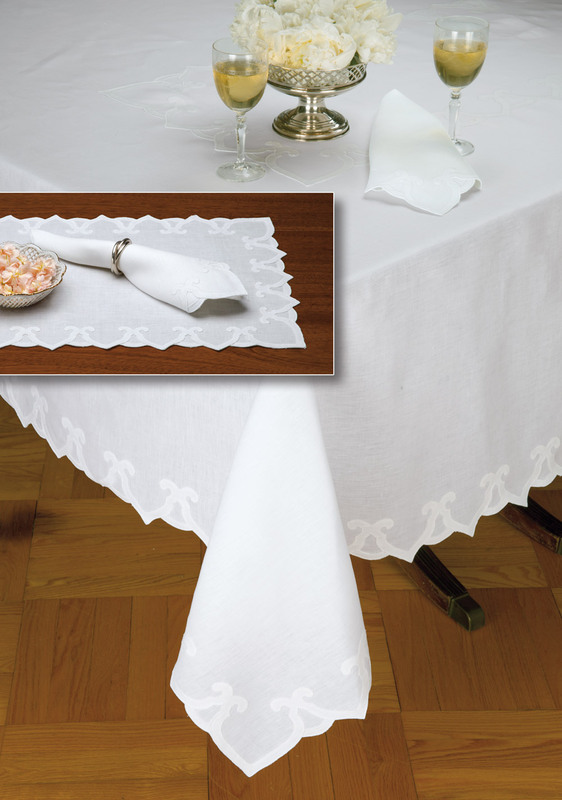 No matter what you are serving, in the kind of environment these linens help create, love and celebration is the main course. Nothing brings people closer together than sharing a special meal. With one of these many sets to choose from, you’ll find the perfect one to create yours. This Valentine’s Day show the love with a gift that won’t wilt, melt or leave them thinking you didn’t give them the thought and attention they deserve. They’ll not only adore your personal and unique gift, they’ll adore you for giving it.